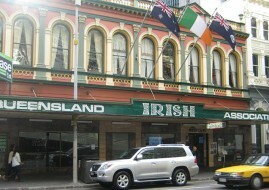 There are serious concerns that Brisbane’s Irish Club could be forced into liquidation within days. Though there was speculation that Brisbane-based developer Des Ryan had put forward a proposal to save the club, which has been in administration since January, the Irish Echo understands that this is not the case. 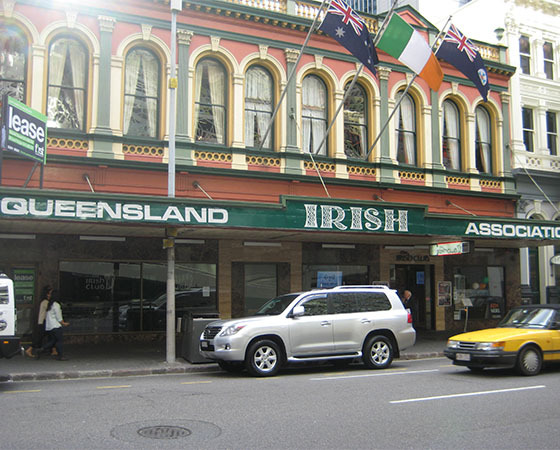 The Midori Japanese restaurant, which had been trading on the ground floor of the Queensland Irish Association’s (QIA) heritage-listed building, has closed following contractual disputes. Though this now opens up the kitchen for use by the club’s bar, it may prove to be too little, too late. Before being put into administration under David Clout, the club had debts of more than $3 million and was unable to borrow any more money. “There have been no serious offers to save the club up to this point,” a source familiar with the situation said. “I am hoping something comes up that the administrator can look at. Otherwise he has no option but liquidation. The Irish community in Brisbane will not be able to compete with corporate money. “It could be a fire sale if it is liquidated. The building is worth over $8 million, but it could go for a lot less than that. The bank and creditors will just want to make sure they get the money they are owed. “There is so much talk and so little action about what to do. Time is running out,” the source said. When the 118-year-old club was placed in administration, its directors said it was “insolvent or is likely to become insolvent at some future time”. The Irish Echo has made repeated efforts to seek comment on the club’s future from both the QIA itself and from Mr Clout, but they did not return phone calls. The QIA, established in 1898, has been based at Tara House in Elizabeth St, Brisbane since 1920.